An off-grid family home on the Scottish isles of Orkney is benefiting from a Windhager FireWIN Klassik 12kW biomass boiler in replacement of its previous inefficient oil-fired system. The multi-award winning FireWIN Klassik wood pellet boiler has replaced the family’s AGA as the primary heat source for their home, providing central heating and hot water to the property at a significantly reduced cost. The homeowner was spending as much as £1,450 on energy with their oil system but is now benefiting from over £14,000 from the Government’s domestic RHI payments, currently offering 10.8p in return for each kW of heat generated, as well as a lower cost of £1,300 spent on wood pellets each year. 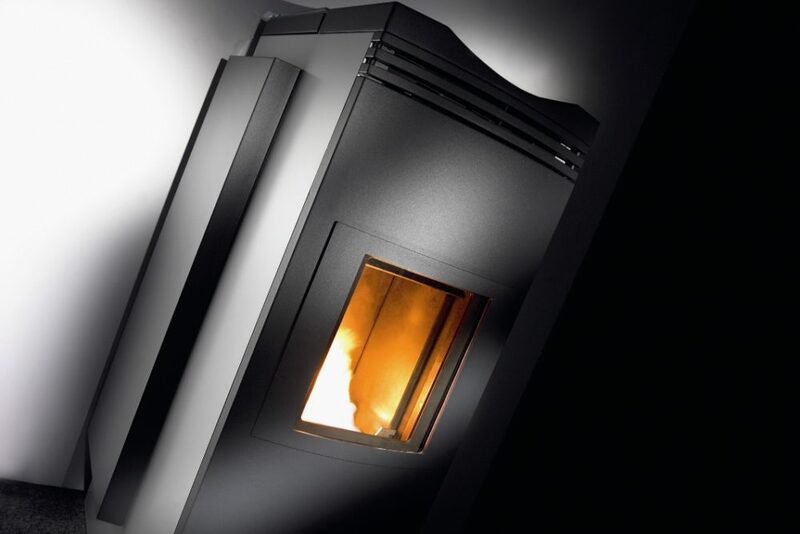 Windhager’s FireWIN Klassik central heating system is designed to provide a stylish yet effective source of heating to homes and can operate from any room in the house. The design replicates a wood burning fire with a visible flame concealed behind a double glazed window to prevent high surface temperatures, providing a cosy atmosphere whilst efficiently heating the house. Designed to radiate a comfortable amount of heat, the Windhager FireWIN boiler was installed by Firefly Energi Orkney in a room where previously there was no source of heating, meaning that the family could not use it during the winter months. The boiler provided the family with a practical solution to the issue as it heats the room whilst also heating the whole house. Requiring just 0.37sq.m of floor space, FireWIN’s compact design allows it to be conveniently placed in any room of the house and is available in a range of colours so that it can be integrated with the colour scheme of the home. Available in outputs of 3.8 – 12 kW, the highly efficient boiler has economical fuel consumption as it modulates the output of heating required and has a low energy consumption of up to 50W. The FireWIN wood pellet range can be manually or automatically fed and has an automatic ash compaction feature requiring it to only be emptied as little as two or three times a year. This, alongside the attractive and compact design makes a very suitable and popular choice for domestic installations as it provides the right amount of energy required for a smaller property and requires very little maintenance.